On this day in 1607, Jamestown, Virginia is settled as an English colony. Of course, the picture and the note all to point out that, when the Virginians were here, the Mayflower was still a grove of trees in some obscure part of England. Okay I made that up. Actually, that great academic resource, Wikipedia, couldn’t tell me when the Mayflower was built, but we do know that the pilgrims didn’t depart for American until sometime in 1620. A good thirteen years after Jamestown was settled. I like to point out that the Virginia colonists watched the Plymouth landing on CNN. That’s true because I read it (okay, wrote it) on the Internet. I’m not sure when all the attention on the “first” Americans turned to Massachusetts. Don’t get me wrong. I have nothing against the pilgrims and the amazing feat of coming to this country and surviving. Well, like the Virginia settlers, some of them survived. But, face it folks, the version you get at Thanksgiving, and in the Macy’s Parade, is not accurate history. Do some reading about the first Thanksgiving at Berkeley Plantation in Virginia. There are those who will tell you, and I may or may not be amongst them, who will tell you that the focus toward Massachusetts happened with Abraham Lincoln’s Thanksgiving proclamation. The thought was not to recognize those rebellious Virginians. Is that accurate? I don’t know. It’s certainly believable. We can’t always rely on the educational system, or the “historical” documents, or the media, or Hollywood, to present us an accurate view of history. Not to dredge up the War of Northern Aggression again…but the reality was that it was more than South:Bad, North:Good. It just wasn’t that simple. And before we go about tearing down every reference to the Civil War, we need to understand that. That’s not debatable. 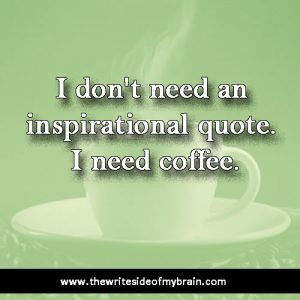 On this blog at least. There is so much of our past that we just assume to be true because that’s the way it’s always been told. But then we read some actual history and find out how wrong we’ve been all along. I am no historian, but I am fascinated by history. 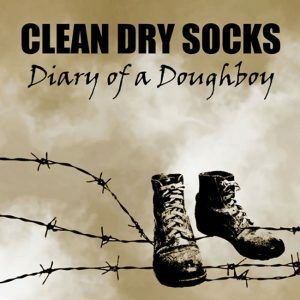 During my research and writing for my script, Clean Dry Socks: Diary of a Doughboy, I learned far more about World War I that I ever did in high school or college. I learned what was going on in Europe at the time, I learned about the attitudes of the Germans, about the attitudes of the Americans who didn’t want to be involved…and much, much more. But, I only scratched the surface. Truth is, the schoolin’ that I had on (not in) the early 1900s was somewhat limited. I have told this story often. I started first grade (Kindergarten was not required in the dark ages) the year schools were first desegregated in my home county. That’s another story. But, my history courses consisted of alternating years of Virginia History and American History. So, one year in Virginia history we’d start at Jamestown and, by late May, we’d basically be wrapping up the Civil War by the end of May with very little time to address anything after that. The next year in American history, we’d start at Jamestown…and, well, you get the idea. So much so that when I took American History in college I actually asked why we started in Massachusetts. The point here is that, even at my advancing age, I still have a lot to learn about history. Like I said, I’m not a historian. I’m a writer. 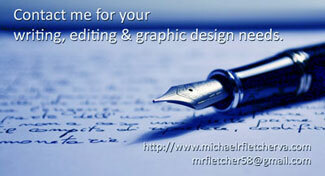 But, as a writer I have a responsibility to get my facts correct. I also have the ability and the right to turn those into historical fiction if I choose, but I shouldn’t pass the off as authoritative. So, fast forward to today and what we’re getting from the news media. No matter your political persuasion, it just ain’t all true folks. I’m not even talking about the ridiculous “you won’t believe what Brittney did this time” posts on Facebook that are nothing but click bait. Take any of the major news outlets. They all have their own particular spin. And that’s not limited to just FOX News. Any day in The Washington Post you will find multiple articles about the lies of Donald Trump. I’m not defending the President. You should know by now that I cringe at much, if not most, of what he says. But, he ain’t always wrong, he ain’t always lying. All that to say that The Washington Post isn’t providing news, it’s providing activism. I didn’t quite expect to go here on a Monday morning. Truth is, I’m not quite sure where I expected to go with this. Let’s try to wrap this up. As a writer, I owe it to my adoring public to get my facts straight, and to be clear when I’m expressing an opinion, or writing fiction. I’d like to think that the media shares that sentiment, but we all know they don’t. So, each of us has a responsibility to read, and then to verify what we read. Never stop at just one source. We all should have learned that when our high school English teachers taught us how to write a research paper. Look, I fully admit that sometimes the only exercise I get is jumping to conclusions. All I’m saying is that, when you see something that appalls you or out and out pisses you off make sure the source is accurate. And for the record, don’t stop your research with Snopes or Wikipedia, because yeah, they can be biased as well. We’re not going to stop the misinformation. But we don’t have to perpetuate it. It’s Monday, let’s get out there. And get the facts straight. In other news, American singer-songwriter and actor, Bobby Darin, was born on this day in 1936. Darin died in 1973 after complications from open heart surgery. He was 37.